When you are in the market for a new property, especially if it is far away from home in another country, it is advisable to do your homework first. If you are considering investing in property overseas, you need to be sure that you are making the best investment you can. However, sometimes you're not able to go there yourself. You could then list the services of an investment specialist that will do the homework for you. Here are the main benefits of using a property investment specialist. They will advise you on the neighbourhood. If you are considering purchasing property in another country, then you may not be familiar with the neighbourhood where the property is located. The property investment specialist will know a lot about the neighbourhood you are considering and can advise you accordingly. This will assess whether it is a growing or declining neighbourhood and whether it's worth the investment. They will advise you on the safety of the area. Usually, they would have assessed the area beforehand and are well aware of the safety aspects of the area. A good property investment specialist will indicate which areas are worth considering as an investment. They will check the exact location of the property. If it is a house or building that you are looking at purchasing, then you need to find the exact address where it is located, so ask the property investment specialist to show it to you on a map. For obvious reasons, you need to know where the property is. You may discover that it is near a shopping centre which will be beneficial to you. They can advise you on the state of the property. The property investment specialist will conduct a full inspection of the building. 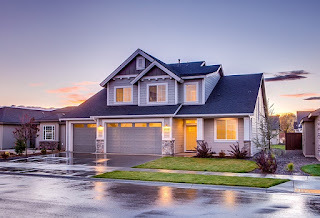 They can advise you on the structure of the walls, the conditions of the doors, the functioning of the plumbing and geysers, the electrical fixtures, the stability of the roof structure, the condition of the floors, as well as the front and back yard. Therefore you will be fully informed of what you're purchasing. Searching for property investment opportunities can be exciting. Ensure that you find a good property investment specialist that has been to the location and can give you accurate information that will be beneficial to you. If you have all your facts, you cannot go wrong with property as an investment option.